This machine was designed for a company that produces spherical bearings. The machine was a designed to precisely control all of the variables involved in lapping bearings, allowing the process to be fully automated instead of being done by feel. This machine holds a custom fixture that holds various sizes of bearings, and multiple fixtures means parts can be loaded and unloaded off line while the machine is in operation. 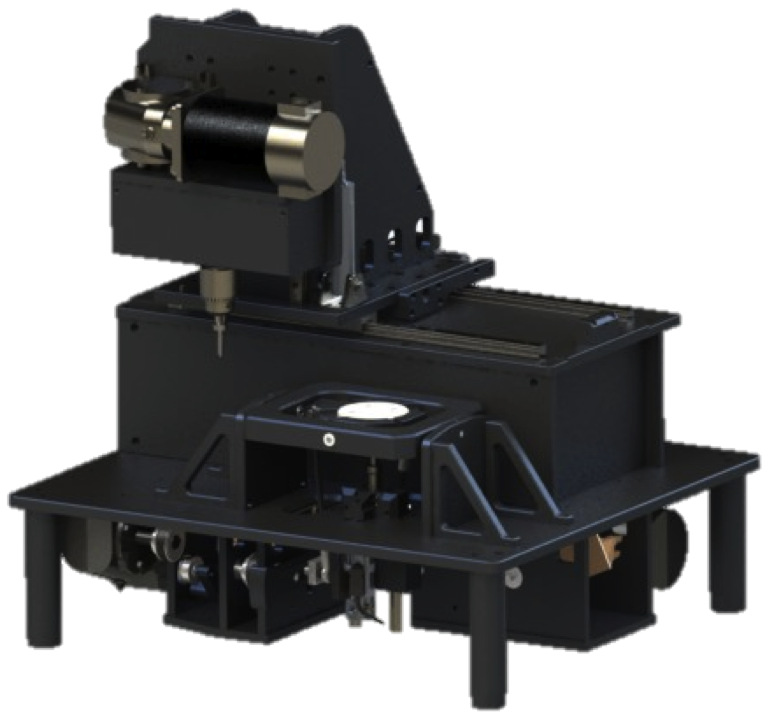 Once loaded, the machine moves into position on a two axis linear system and "pinches" the inner race of the bearing between a motor driven center and a live center underneath. As the bearing spins, it is oscillated along both a pitch and a yaw axis that are stroke and speed adjustable. When the preset cycle time is complete, the spindle retracts and moves out of the way to allow unloading and loading of the next part.